Originally this fossil was identified in 1864 or 1865 by John William Dawson as a Precambrian foraminifera. 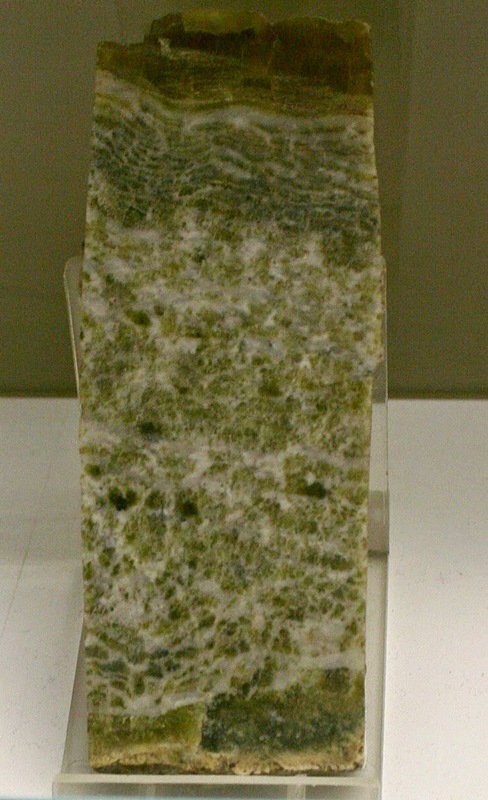 As it turns out it was metamorphosed bands of calcite and serpentine thus a pseudofossil. Specimen can be seen at the Museo di Paleontologia at Sapienza University of Rome Italy. Image was taken in June 2014.